Survival of the Cookiest is a competitive cookie platformer. Push the other cookie into the milk, try not to fall in yourself! What you see above is Version 1.2 of the experimental WebGL edition - written in LÖVE, converted for the web with love.js. If you experience problems then please try another browser (e.g. Chromium instead of Firefox). Better yet, install a desktop version, available for Linux, Mac or Windows (further down this page). If you want to fix our bugs, you can find the code on our Github page or by unzipping Survival-of-the-Cookiest.love. Version 1.0 is what we handed in at the gamejam. Verision 1.1 fixes some bugs and adds convenience features. 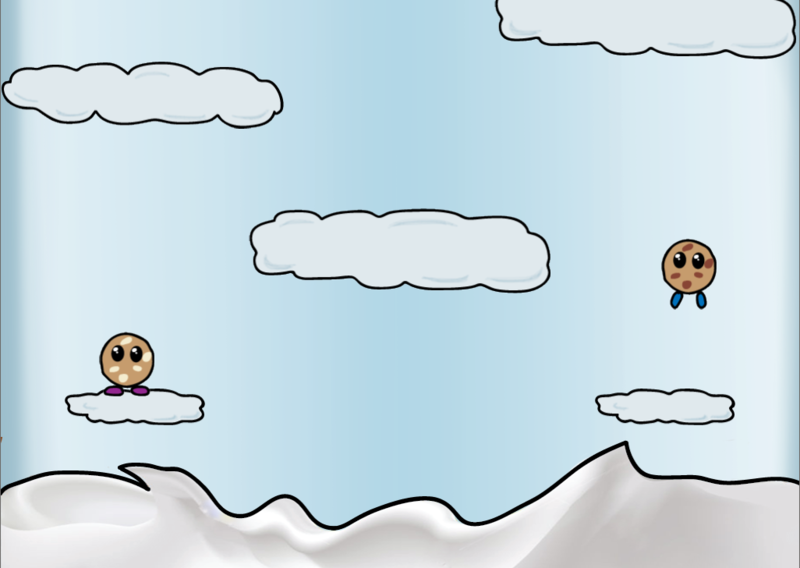 Physics are improved, you can now jump off the other cookie (with some skill). Still not bug free and probably never will be (probable cause: scrolling implementation). Version 1.2 fixes bugs and adds minor features. Cookies no longer get stuck in the clouds. Reverse scrolling works correctly now. Default speed is 3, press '9' to decrease, stop and eventually reverse. Press '0' to increase. The scrolling speed is now persistent across rounds. Debug view, press 'b' (think 'bug') to get a small look behind the scenes. Tell us whether it works! The offline version should start quickly. I know the physics is weird and we initially planned to add various skill and things, but it was a game jam game made in 48 hours, so we had to cut stuff. Glad you enjoyed it anyway. I am considering doing a remake, but no promises. 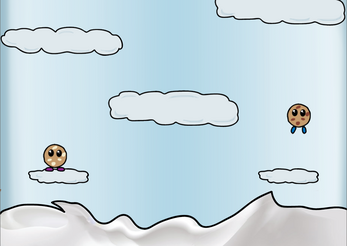 Version 1.2 is up now and (as far as I can tell) finally fixes the bug where cookies sometimes got stuck in the clouds. Reverse scrolling also works properly now. This is likely the final version. 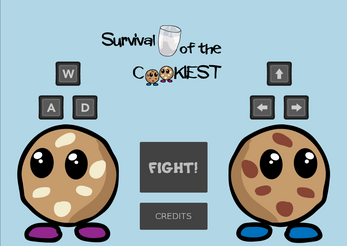 I added an experimental HTML5 version. I have reworked parts of the code. Version 1.1 is up now, enjoy!